Welcome to SG Enviro Technologies Manufacturer, Importer & Service Providers of Water Treatment Plants. The company was established in 2008 at Coimbatore. We cater to Australia / NZ, Middle East & other countries. Experienced workforce, stringent quality review & excellent performance are some of the key features behind our success. 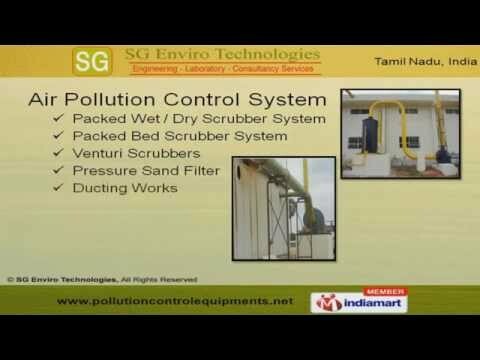 We are engaged in offering Air Pollution Control System, Treatment Plants, Industrial & Commercial RO Plants. Our Air Pollution Control Systems are well known in the market for their impeccable performance. We offer premium grade Treatment Plants at market leading prices. Industrial & Commercial RO Plants are some of our best selling products. We are specialized in manufacturing Recycle System & Laboratory Analysis solutions. Along with that we provide Consulting Services that are a class apart.